In the complex, but ever so common, world of finance, perhaps the most frequent word that gets thrown around is the term “loan.” You can be looking into buying a new car, purchasing a house, starting your educational studies or simply trying to keep up with your bills. In all these instances, a common variable amongst each and every one of them is a loan. When asked what a loan is, most people will simply laugh at the silliness of such a question. “It’s when you borrow money and then pay it back!” Yes, that is how we put it simply, but what truly is a loan? Are there different kinds of loans that exist? How do we calculate the cost of a loan? Should we pursue a specific loan in a given context or are all loans essentially the same and no serious research needs to be done prior to choosing a loan? We will briefly analyze two of the most common categories of loans that exist in today’s industry and in which many Canadians turn to in time of need: Payday Loans vs. Installment Loans. As its’ name suggests, a payday loan is where a borrower borrows a certain sum of money, typically between $300-$1500, and where the payment is due generally in one or two payments on your next Payday. The cost of borrowing, depending on the Province, will be around $15 per every $100 borrowed. Hmmm, that’s not so bad, after all-all, isn’t that just 15 percent? Although many borrowers think like this, it could not be farther from the truth! When calculating an APR (Annual Percentage Rate), the key word is the term Annual. You see, when determining percentage rates, you must always keep in mind that the cost of borrowing, or interest, is calculated based on a 12-month period of time. Take the following example: Aurora needs $400 for an emergency that just came up. She runs to the nearest payday store and borrows $400. Wow, that was convenient thinks Aurora, I’m saved. Two weeks later her payment is due, for a total of $460. That’s only 15% interest thinks Aurora. Before reading further, has she arrived at the correct conclusion? Although the cost of borrowing was 15%, that is only in a 2-week period. Turn that into an Annual Percentage Rate and you are looking at 390% APR! Still seem like the best option? According to the Government of Canada, Payday loans are an expensive way for consumers to borrow money. The overall use of these loans has more than doubled over the last few years causing the Financial Consumer Agency of Canada (FCAC) to be tasked with raising public awareness about the costs of payday loans. Quite a fun job! One of the results that the FCAC found was that less than half of the respondents, a whopping 43%, understood that a payday loan is more expensive than available alternatives! So, what are these alternatives? Installment loans are perhaps the most common form of loans that are available to borrowers. As the name suggests, these are lump sums of money that are borrowed BUT they are due in smaller installments. Depending on your credit, you have different options of where you can borrow from. In addition to the credit factor, there is a convenience component when it comes to borrowing as well. For example, you may have a given credit score which banks will accept and will offer lower costs of borrowing. However, this means that most often you would need to go to the bank, wait in line, fill out paperwork, wait for a final decision to me made, etc. So, in addition to credit scores, the convenience score should be taken into consideration as well! These kinds of installment loans give borrowers the flexibility to decide what they feel comfortable with and what payments are affordable to them. For example, Magical Credit Inc offers installment loans ranging from $500-$10,000. Depending on the Province, you can receive these loans for a duration starting at 6 months and up to 5 years. These terms give borrowers the opportunity as an alternative to Payday Loans. Having the ability to borrow $5000, for example, for 4 years with bi-weekly payments, gives the borrower the ability to take care of any current financial burden, and allows him or her to afford the small installment payments that are due! 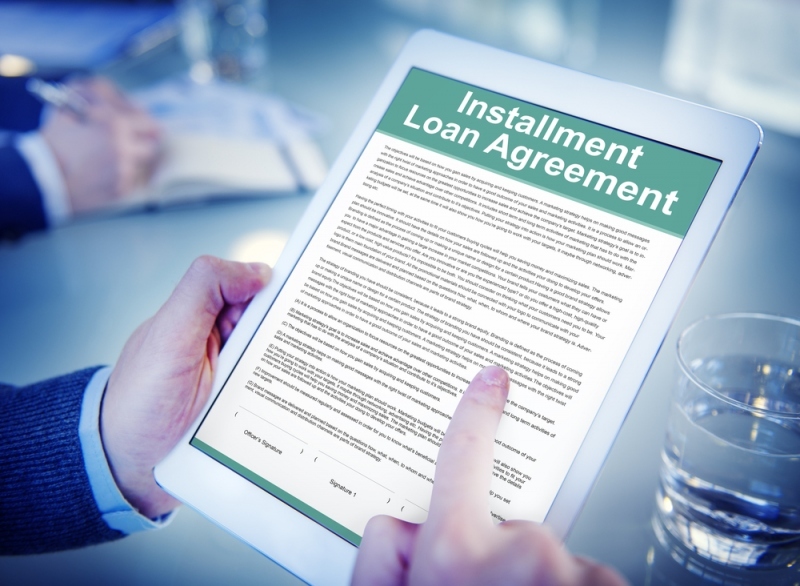 To take this one step further, when looking at installment loans, it is important to determine if the lender allows for early payoffs without penalties. This means that regardless of the term you initially sign up for, you have the ability and flexibility to pay off your loan early without any penalties, saving all of your interest up to date! A lender like Magical Credit Inc. gives borrowers the ability to pay off their loans at any time with zero penalties! Now that you have gained insight into the fundamental difference between these kinds of loans, what are you waiting for? Visit magicalcredit.ca to get your short-term installment loan approved today!